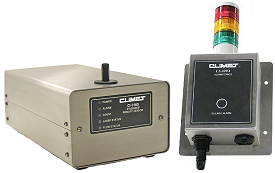 DataPro 3 currently reports on data collected from the CLiMET CI-3100 Ethernet remote particle counters and can be configured to activate the CI-309A alarm towers for a visual representation of processes in alarm. DataPro 3 is for continuous particle monitoring, where particle counters are permanently installed to monitor specific locations, e.g. for monitoring of Grade A areas for compliance with EU GMP Annex 1, or ISO Class 5 areas. The software can place particle sensors in standby mode to switch off their laser diodes and air flow pumps when the area is not being monitored, which prolongs the lifetime of those components. The DataPro 3 user interface displays the data as soon as it is available. The particle monitoring continues uninterrupted in the background. The overview section of the application displays current particle counts and flags alarms that have occurred using red and yellow coloured background enabling operators to identify alarms quickly. 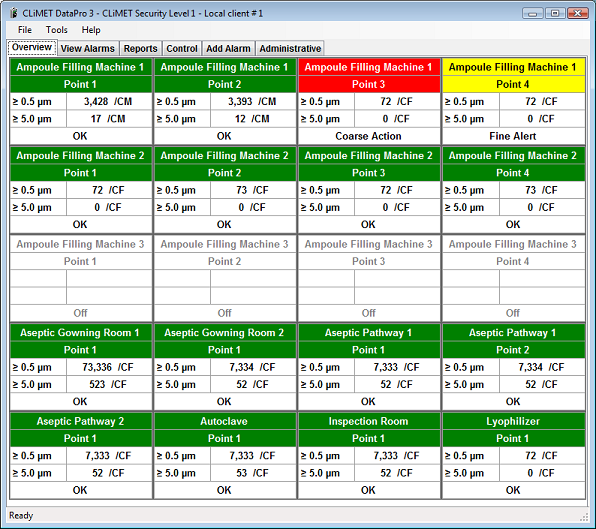 Alarms can be configured for each of the locations being monitored. When alarms occur, they are flagged in the overview section and displayed in the alarm section as a tabular list. Operators have the flexibility of adding comments to be associated with the alarm. DataPro 3 is a client/server system and there are two configuration options from which to choose. The first option is to have the DataPro 3 client, the Data Acquisition Service (DAS) and the SQL Server all running on one computer. The second option is to install a remote client separately from the server components. DataPro 3 enables security controls to be placed on windows/domain users, restricting their level of access to the system. 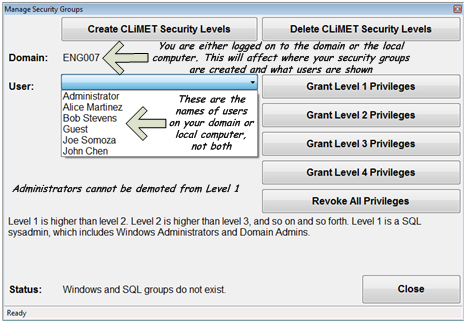 Administrators of the system are able to control security privileges for other users. The different security levels and the associated client features are summarized below. DataPro 3 also keeps logs for audit trail purposes. Audit logs are kept to monitor database, sensor, applicant and security group events. DataPro 3 will generate a variety of standard reports defined by industry standards, such as EU GMP Annex 1, ISO 14644-1, or FS 209E. You also have the ability to produce graphs using the easy to use reporting interface. 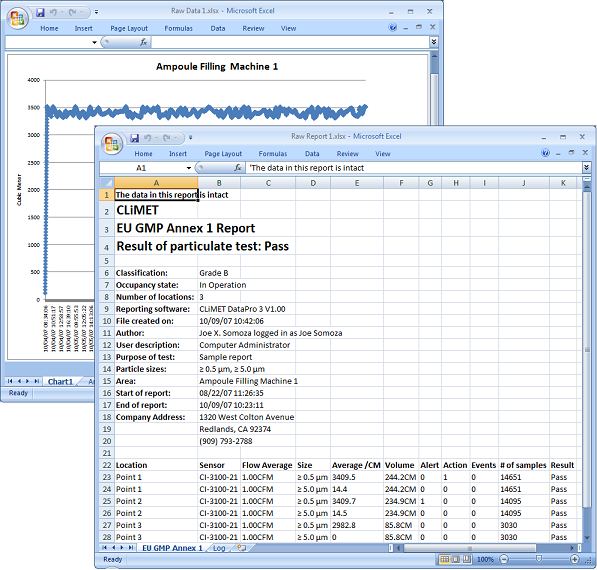 Reports and graphs are saved in Microsoft Office Excel format.